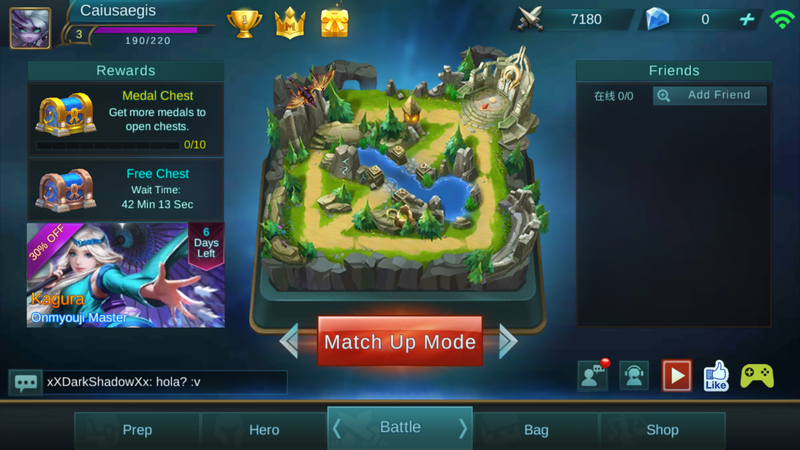 Hello everyone and welcome to the Mobile Legends: Bang Bang(MLBB) tips and tricks guide. 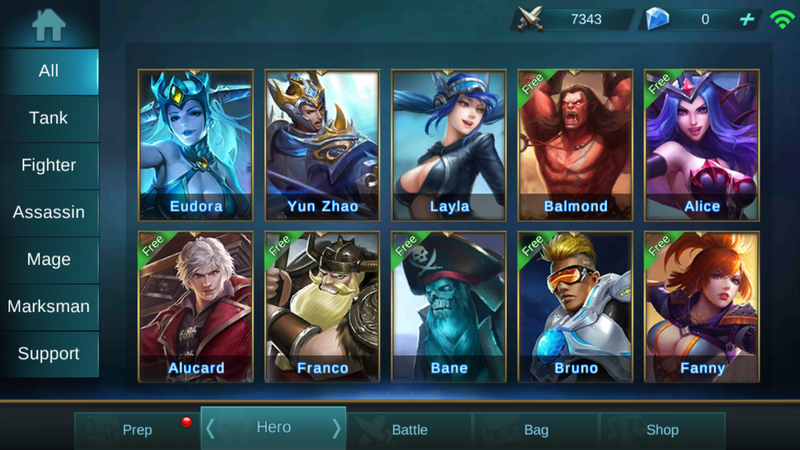 This guide is designed to help you understand the mechanics of Mobile Legends and give you some tips about some of the characters you can use in the game. Also check out this awesome MLBB fan site. 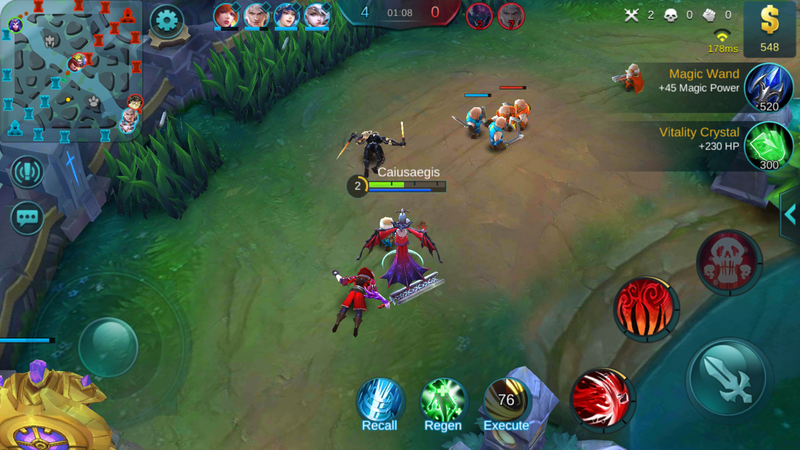 Mobile Legends: Bang Bang is a MOBA style game that is very similar to games like League of Legend and Heroes of the Storm. So if you’ve ever played a MOBA game then you’ll pick this one up really easily. In the game you get matched up with a team of 5 people and as a team you work together to destroy the enemies base. You’re put on a map with 3 lanes and each lane has a certain number of turrets. Your goal is to take your minions through the lanes and destroy each turret so you can get further towards the base. You can only attack turrets when your minions are within their range other wise you’ll be targeted and take heavy damage. The basic mechanics of the game are fairly simple and very easy to pick up on after one or two games. So we’re going to talk about the main draw of this game and that’s the characters. Like most MOBA’s, Mobile Legends has a nice roster of characters for you to choose from. At the beginning you’re given a few heroes for free then after that you have to obtain them through currency. Every hero has their own price and can be bought with Battle Points or Gems. Gems are the currency you use real money one where as Battle Points are given every time you win or lose a match. At the start you’re given a nice chunk of Battle Points so depending how you play you could end up buying up to two cheap heroes, one medium priced hero, or save up til you can buy one of the more expensive ones. But putting the thought of currency aside you can still play as some of the heroes through the hero rotation. Every week a new group of heroes becomes free for you to play until the week is up. Using the hero rotation is a good chance to test out heroes and figure out which ones you like. That way when their taken off the rotation you can put your Battle Points towards that specific hero cause you already know you like them. Next we’re going to talk about the heroes themselves. I won’t go over all of them just a few I think are some of the better heroes in the game and worth putting your points towards. 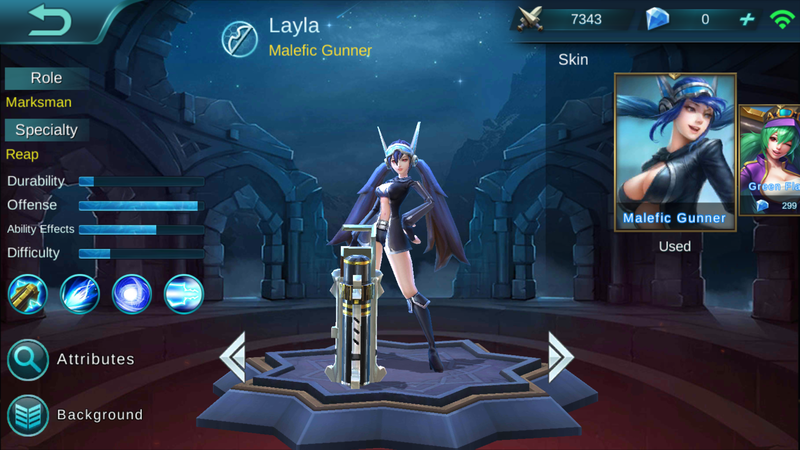 Now Layla is actually the first hero you’re given when you start the game so you don’t even have to waste any points on her. And for being the default hero she is actually one of the best used. Layla is a Marksman class so a ranged character making her very good for attacking turrets while the minions take all of the heat. She’s also good for taking down enemy heroes even if she’s fighting close quarters. Her skills are pretty much run of the mill range character stuff. All of them are long range skills and each deal decent damage. Her third skill, Destruction Rush, is where the heavy damage lies. Using that on a hero is the best way to deal good damage and gets you a good opening to take them out. So for the first free hero Layla is better than given credit for and definitely worth a play. You want to use the default item recommended build for her. It gives her life steal, damage and some defense. You want to use her to kite your enemies. To learn kiting, you want to attack, cast a spell, move your character forward or backwards and then attacking again. This is also known as animation canceling. Practice doing this and you will deal a lot more damage. Her ultimate is used to be a finisher when trying to snipe off running enemies. I suggest you use it when they have less than 1/8 health for a guarenteed kill. 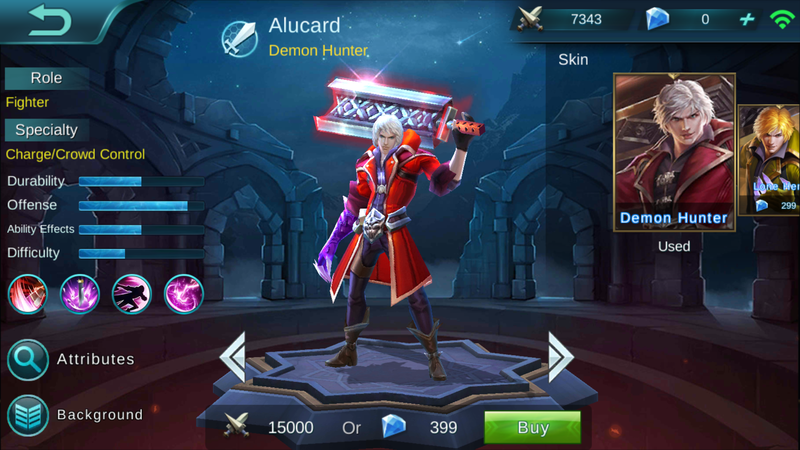 Alucard is a rather interesting hero. He’s a Fighter class so he’s best used in close quarters and is highly effective against both minions and Heroes. He does great damage for his type and his skills give him a wide range of use depending on your play style. So if you’re someone that’s going to push towards the goal or if you like hunting down other heroes he is a great choice for that. Another great thing about Alucard is his life steal. 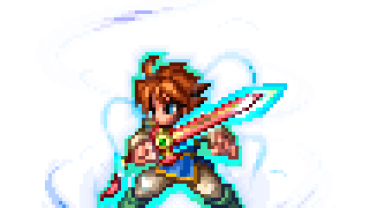 He gets health back with each attack and his third skill Fission Wave increases that effect for a limited amount of time. So if you’re looking for a fighter then you won’t get much better than Alucard. Alucard has great sustain and is very suitable for long drawn out battles. He can be the front line tank to soak up damage while your back line attackers can deal damage. Fanny is an Assassin type for close quarters combat and is a great charge character. Using her to charge to the goal and take point is the most efficient way to use her. Her offense is great but she can be a little hard to get the hang of. But put some time into her and she’s great for any player. She’s a little squishy and doesn’t take a lot of hits but you can fix that through items during matches. Just build her up with good defense and health items with a mixture of damage ones and you’ll eventually find the build that works best for you. Fanny’s third skill is also nothing to scoff at. Her basic attack leaves a Prey Marker on whatever hero she attacks. Using her third skill deals a lot of damage on its own but using it on someone with a Prey Marker increases the damage by 20%. 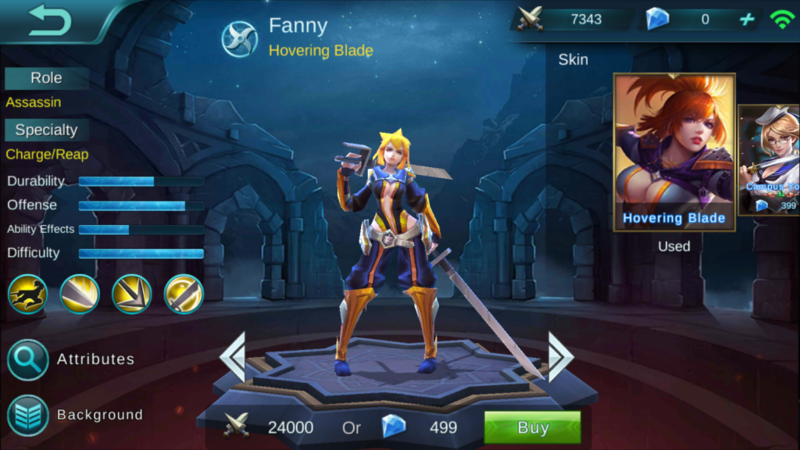 So if you’re someone who likes dealing heavy damage and taking point to the goal then Fanny is for you. Wait in the bushes, or on the wings and wait to kill back line targets like Layla or any high damage marksman. Much like Layla, you want to learn animation canceling to land more regular attacks. So I hope this guide was helpful to any of you just starting out. As I stated the basics of the game are extremely simple and easy to get the hang of. And if you’re still hung up one which hero to use I highly recommend the three I mentioned above. But if you’re still not sold always look to the hero rotation. Best way to test them out and find out who you like. So enjoy fighting your way through hordes of minions and heroes. Until next time. 5. Collect it until reach the budget much you want! Nice tips bro… I’m moskov user.. Oh ya.. I don’t know what happens with ur blog.. But it load slow.. I’m using phone browser.. Btw nice tips u have bro… Keep it up. i cant play rhis game? Why are there no guides that explaim the dynamics of the map in detail? Like the critters, resources and buffs?